LG W53 SMART Monitor Series include an incredible Auto Brightness feature that allows them to automatically optimize their brightness and other picture settings based on the ambient light in the room and the content being viewed. LG based these settings on the unified glare rating (UGR) recommended by International Commission on Illumination to ensure a comfortable viewing experience. Continuing the working smart and reducing eyestrain theme, LG W53 SMART Monitor Series also include a timer that reminds users to take a break from their work at predetermined intervals. Helping further eliminate distractions, a proximity sensor under the LG W53’s bezel detects when a hand approaches the screen and activates lights that make buttons easy to find when they are needed. When not in use, the lights disappear, giving the monitor a sleeker, cleaner look. 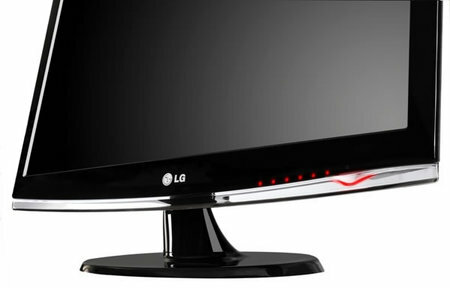 LG’s W53 SMART Monitors are available in sizes from 18.5 to 27 inches. LG’s W53 SMART Monitors will be available in major markets around the world including U.S., Europe, Asia, the Middle East and Africa, South America and CIS starting in April of this year.